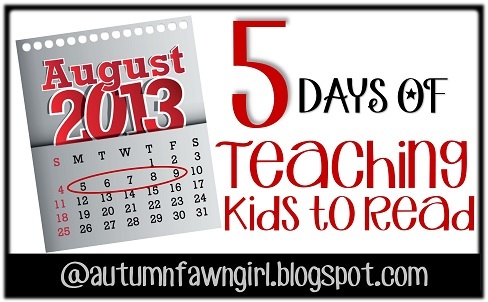 Welcome to Day 5 of Teaching Kids to Read! I didn't start formal spelling until my kids were in first grade even though they could all read pretty well by then. Again, at least in my experience, I found that learning to read came much more easily than learning to spell. 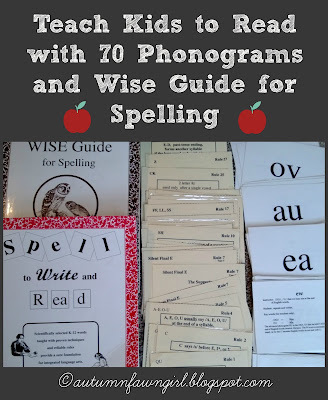 Phonics was extremely important to me as I was teaching my child to read, so I wanted a spelling program that taught children how to spell phonetically. In my research and conversations with some homeschooling friends, I ended up settling on Spell to Write and Read by Wanda Sanseri. I liked the approach that a word is spelled a certain way for a reason, and with SWR, very few "exception-to-the-rule" words or "sight words" are taught. The English language, just like any other language, does have a few exceptions, but not as many as you may think or have been taught to think. I certainly remember learning all those "exceptions" don't you? I also love that I can tell my children exactly why a word has a silent e or why we drop the e in the word changing but not in changeable. I love that I can tell them exactly why we use the phonogram ai in the middle of a word and why we use ay at the end of a word. And the list goes on and on. If you want more from a spelling curriculum than just mindless lists that have to be memorized, you might want to give SWR some serious consideration. Spell to Write and Read is basically the Teacher's Manual designed to accompany Wise Guide for Spelling which contains organized spelling lessons. You need both books to effectively use the program. SWR explains how to teach all of the spelling rules and guides you through some of the assignments that are given in Wise Guide. Besides spelling, this program covers penmanship, reading, composition, dictionary skills, and grammar. It also "paves the foundation for improving comprehension and building vocabulary. It clarifies our spelling dictation techniques and explains in depth the "thinking to spell" process. Now, I will say this: SWR is an intense spelling program. It was a lot to absorb and process at first. I spent many days reading and figuring it out before actually starting. This is a program that you do with your kids, so it does take up your time. Once I jumped in and started the lessons, it all fell into place. I established a routine and made it work for us. I didn't always do ALL of the assignments for each lesson, and I often spent 2 weeks on one lesson instead of 1 week. It takes work, but it's also very flexible. I am glad I stuck with it! I feel it really is a quality spelling program. I am still right in the middle of it with my last child, and my sixth grader is almost finished. Yea! I recommend purchasing the entire kit all at once even though it costs around $100.00. Why? Because this program can be used for about 4-6 years depending on how quickly you and your child move through the lessons. This program is a go-at-your-own-pace program. No pressure to advance to the next lesson until your child is ready. So, when you think about it, that's like only spending about $20/year on spelling. Since I have used it with all 3 of my kids, the price has been well worth it!! It is intended to be used to teach kids to read, but for me, it's mostly because of the handy dandy phonogram cards. With my second and third children, I was able to use these cards right along with Happy Phonics. The phonogram cards include all of the single letters of the alphabet, 2-letter phonograms, and 3 or more letter phonograms. The front of the cards shows the phonogram and the back explains the sounds, gives examples of words, and gives further instruction if necessary. I LOVE these cards! Also, there are 11 steps in SWR that you can follow before you begin the regular spelling lessons in Wise Guide for Spelling. So, if you plan to use this program, you may want to get it before first grade. You can use this program exclusively to teach your kids to read, but since I already had Happy Phonics, I used both. While I really like this program, I kind of did it backwards. I liked teaching my kids to read before they could spell. Just my preference, but obviously the intended purpose of this particular program is to teach your kids to spell to write and read. 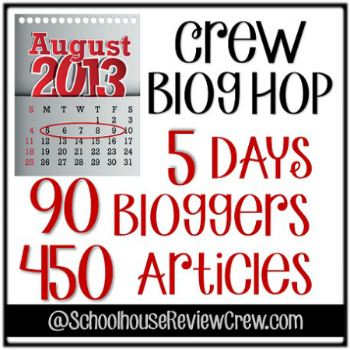 Also, don't forget to check out the rest of the articles from the Schoolhouse Review Crew! Hi. I just stumbled upon your blog on Pinterest. I brought this program for my 5 year old son and thought it would be perfect. He's preschool told me he could read but I found he could only read the "bob" books they used in school. He memorized the words and the common sounds most letters made but given another level one book he would be completely lost. I was hoping to go over the phonograms again with him and introduce other sounds he didn't know. Anyways, that being said I can not figure out how to use this program for him. I "get" it but I'm not sure how to teach it to him. How do you incorporate this program in your homeschooling day. I would be happy to tell you how I incorporate this program in my homeschool day. :) Since tomorrow is a holiday and we have the day off from school, I will get back to you then. Thanks for stopping by! Assuming you have covered steps 1-11 in Spell to Write and Read, I will try and give a suggested example of how I would incorporate section A into my homeschool day. The best thing to do is divide activities into manageable chunks according to your child's needs. Don't feel like you have to do all of the activities. Pick and choose which ones will best suit your child. Day 1: Cover Preliminaries such as reviewing phonograms listed and following any other instructions in that section. Day 2: I would have my child write new spelling words in his Primary Learning Log. Depending on ability, I may have my child only do the first 10 words on Day 1. I would also do all the red markings on words that have been written. Day 3: Add next 10 words if not done on Day 1. After all spelling words have been written, I would have my child write a sentence in his learning log using new words. Day 4: Choose an activity such as the Number Page and complete it. Maybe practice spelling a few spelling words out loud with your child, too. 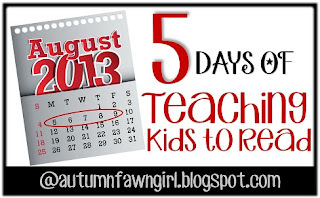 Day 5: Choose another activity such as the Reinforce Short-Term Memory one and complete it. Day 6: Choose another activity such as composing sentences either orally or on paper depending on ability. Practice spelling words again. Day 7: Spelling test if child is ready. With this program, I don't always follow a weekly pattern with new words on Monday and a test on Friday. It really depends on each new section and my child's readiness to move on. I found your post on pinterest. I also use SWR with my kids and love it! No better program out there that makes sense of the English language. I enjoy reading other reviews of SWR as it can be a difficult program to explain to others!